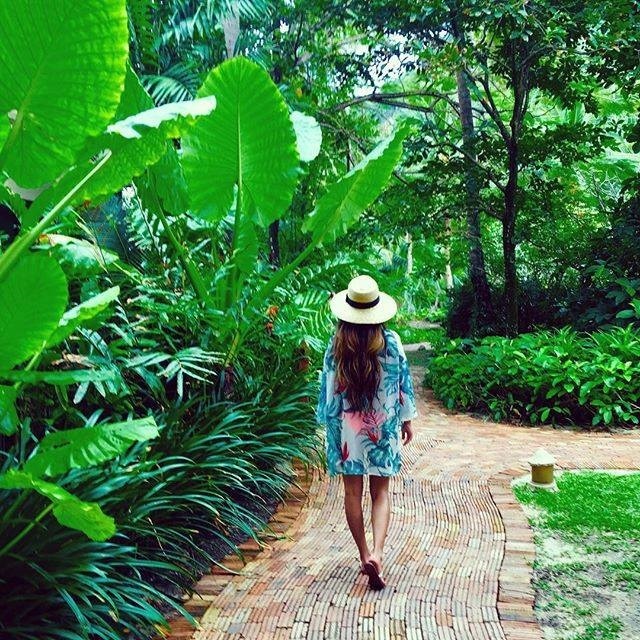 A stroll through Rayavadee’s gardens is a highlight of any visit to the resort with more than 120 types of palms and tropical trees to discover not to mention the more than 250 types of ferns and herbals plants you’ll find while wandering along the property’s winding pathways. Rayavadee’s gardens offer a rich variety of plants and colorful flowers to explore and discover. Many of these bear edible fruit such as mango, tamarind, banana and gooseberry; essential ingredients for a number of classic Thai dishes. Indigenous to the region, these trees are also found commonly in Thai home gardens where local people make use of them in their daily cooking. Rayavadee was built in an old coconut plantation at the tip of the Phranang Peninsula and in keeping with its eco-friendly approach to the surrounding nature, none of the trees in the plantation were cut down during the construction of the resort which explains the many meandering brick pathways that wind their way around the guest pavilions. Today maintaining the more than 200 coconut trees that dot the property’s grounds is a full time job for our gardening team who are skilled at climbing their tall trunks to cut down the coconuts before they drop naturally. The coconut palm is one of the most versatile plants in Thailand with each and every part offering up a number of practical uses. The palm leaves for example were used for thatching roofs, the wood of the trunk for carving utensils and for house posts and the coconut shell can be carved into bowls and cups. The coconut itself boasts highly nutritious juice as well as delicious milk and cream for making curries and desserts. Left: Rayavadee was built in the grounds of an old coconut plantation. Right: Torch ginger is easily recognized by the bright pink-red color and wax-like appearance of its leaves. Another lesser known plant used in local kitchens is Torch Ginger. A member of the ginger family, not only are its showy pink flowers perfect for floral arrangements, but they can also be used in Thai cooking. Sliced or shredded, the flower adds a sour touch and unique flavor to dishes such as the southern Thai favourite Khao Lam, (a sort of colorful rice salad). In additional to edible plants, there are a variety of medicinal plants in our gardens such as the Sea Lily, the Red Wrightia and the Spiral Flag, whose healing properties have long been incorporated in traditional Thai herbal remedies to treat a host of afflictions from headache to circulatory disorders to cough and indigestion. In the past, before the arrival of western-style pharmacies, Thai people had a good working knowledge of the health benefits of the plants and flowers that grew around them and would create teas and powders to treat whatever was ailing them. The Sea Lily is a good example of this. A bush-like plant, the Sea Lily’s fragrant white flowers, when boiled, can be applied to the skin to alleviate bruises or sprains. Another good example is the Red Wrightia, the juice of which is believed to encourage coagulation of the blood and which was used to stop nosebleeds. 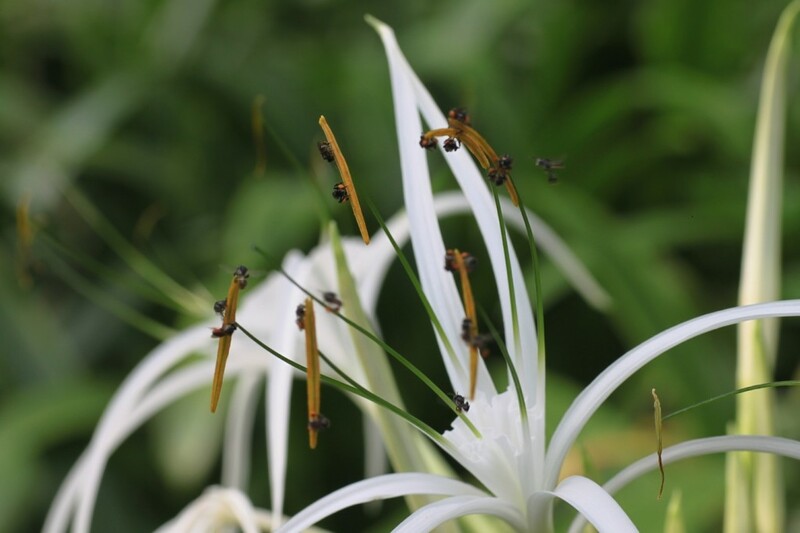 The Sea Lily plant can be found dotted throughour Rayavadee’s gardens. The resort’s gardens are not the manicured ‘golf course type’ one finds in many resorts in the region but rather, are planted with trees and bushes that are native to the south of Thailand and which grow well and easily in the soil of our environment on the edge of the Andaman Sea. The natural style of our lush garden greenery provides an inviting habitat for many types of birds and butterflies which are also interesting to observe. Despite their natural and unfussy appearance, Rayavadee’s gardens require a large team of more than 30 gardeners to tend them who spend their days planting, raking and laying out natural fertilizer to enrich the soil for our plants to grow in. Fresh water is a precious resource on the peninsula where we are located and the water used to tend to the gardens is recycled through a special filtration system that makes use of recycled water from the resort facilities and stores it in our ponds so as to minimize waste and protect our natural resources. Look closely while exploring Rayavadee’s gardens and discover beauty in the small, often overlooked details. While most of our guests choose Rayavadee for their holiday due to our location on the edge of two of Thailand’s most famous beaches, (Railay and Phranang), the beauty of our gardens which are spread out over 26 acres and surrounded by dramatic, jungle-topped cliffs, comes as an unexpected and welcome surprise to many. There is a self-guided walking map to our gardens in each of the pavilions so that guests can enjoy exploring on their own and learning a bit about the unique flora and fauna of the area. It is a worthwhile way to spend a few hours getting to know the property’s many tree lined pathways and secret green corners. 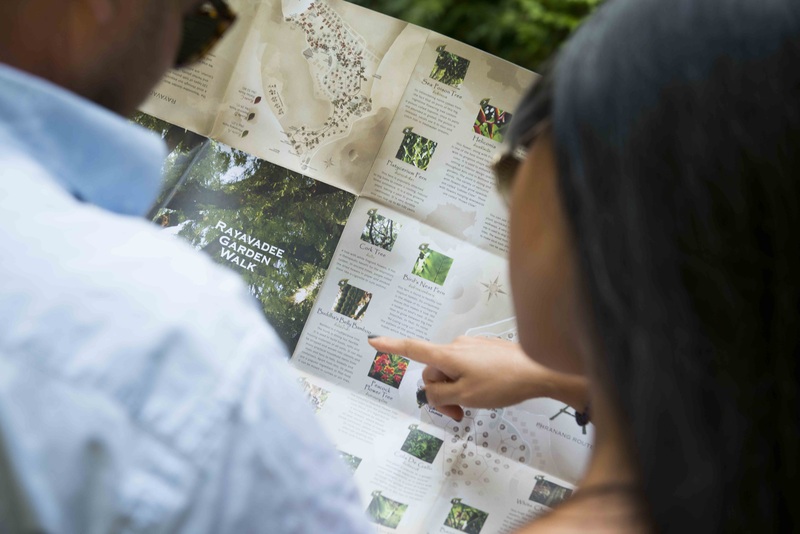 Guests enjoying a self-guided tour through the gardens with our Rayavadee Garden Map.